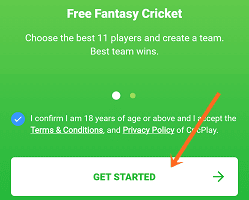 CricPlay is a fantasy cricket platform and it is one of the few fantasy sports apps you will find on Play Store. 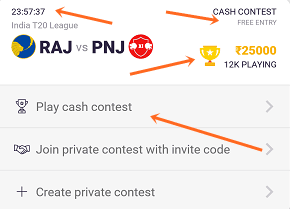 This app allows you to play free fantasy cricket and win paytm cash. Recently it also became Editor's Choice on Google Play Store. On CricPlay you can only join one league per match because there is just one contest and it’s free. But you can create multiple teams to join the league. 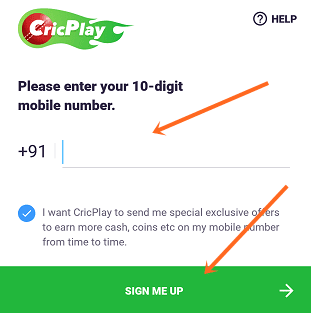 Before I walk you through how CricPlay works, let’s create your account. It takes less than 2 minutes. 1. 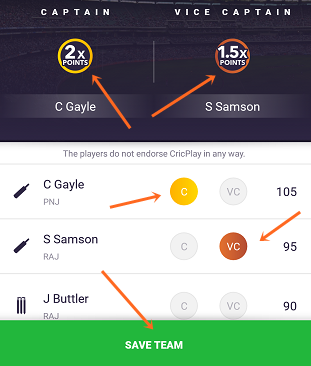 Download the CricPlay app from the Google Play Store. Select a match from the home screen of the app. The countdown is shown in the top-left corner. You can create your team and join a contest before the countdown hits zero. You can also create a Private contest or join with the invite code. Private contests are free. They do not involve money or coins. Select any match and tap on “Play cash contest”. And on the next screen tap 'JOIN CONTEST' button to go to Create team page. Like most of the fantasy platforms, you need to select 11 players. 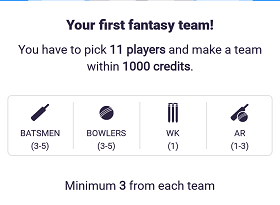 You have to pick your 11 players within the credit limit of 1,000. Don't know why they made it 1,000. I mean if it was 100 you would be paying 8.5 instead of 85. Everything is just multiplied by 10. Maybe they just wanted to look different, I guess. Not that I care. The only thing I care about is whether CricPlay is worth the time or not? We’ll find that out at the end of this review. You must select 1 player as captain and 1 player as vice-captain. You can not select the same player as both captain and vice-captain. Captain gets you 2x points and vice-captain gets you 1.5x points. Captain and Vice-Captain. You get 2x the points for Captain and 1.5x for VC. So, choose wisely. Because C and VC could be the difference between winning and losing. After you have selected C and VC save your team. As I mentioned at the beginning of this CricPlay review, there's only one contest or league per match. Once you have created your fantasy team you'll automatically be entered into the contest( for free). The first entry is absolutely free. What you need are coins. For the 2nd team that you create to join the league, you'll be charged 12 Coins. And 15, 18 and 21 coins for next 3. You can create up to 5 teams. You can earn coins by referring your friends and making Predictions. By making predictions you can not only win coins but cash too. In the Prediction, tab there will be questions relating to the matches that will be played on that day. There can be more than 1 question. Each question will have two options. Select an option and if your prediction comes true you'll earn 1 coin. You can only answer 1 question per day. So how do you win cash? By forming streak. Consecutive correct predictions form a streak. For example, If you predict correctly for 2 days in a row, you would have a streak score of 2. If you get a prediction incorrect or miss all questions in a day, your streak is broken. But you can save your streak from breaking up by using your coins. However, this won't add to your streak. For example, if your streak is 2 but on day 3rd you lose and choose to use the save feature, your streak still be 2 and not 3. You can save a broken streak within 24 hours after the result and before making other predictions. If you are one of the highest streak holders the end of the week you'll be asked a question testing your cricket knowledge. And if answer the question correctly you'll win the prize. In case there is more than one winner prize money will be equally shared. You can earn 12 coins for each friend that signs up with your referral code. Your friends will also get 12 coins when they enter your referral code. 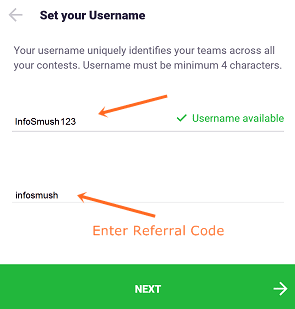 Sign up with this referral code to get 12 coins: infosmush. You can withdraw your winnings to your Paytm wallet. 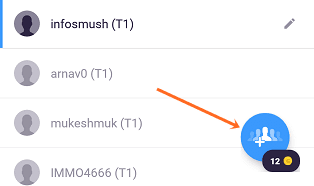 Go to the “Winnings” section under “My Profile” tab and tap the “Withdraw” button. Enter the withdrawal amount and tap “Proceed”. Minimum withdrawal limit is Rs.50. 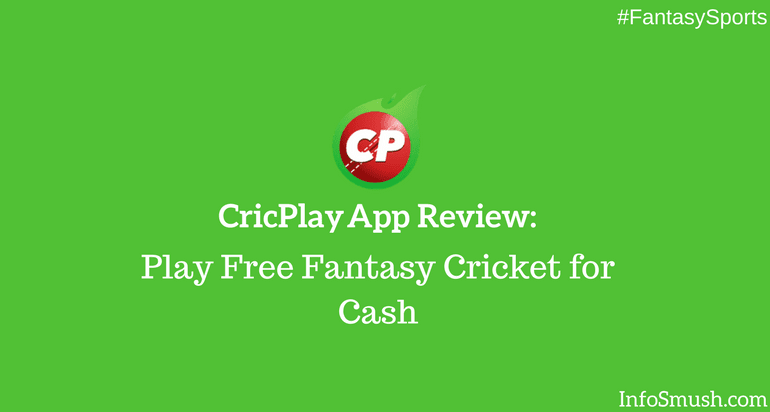 CricPlay may not be one of the highest paying fantasy sports apps but it is one of the few that offer fantasy sports lovers a chance to play and win cash for free. Yes, that's the best thing about CricPlay. 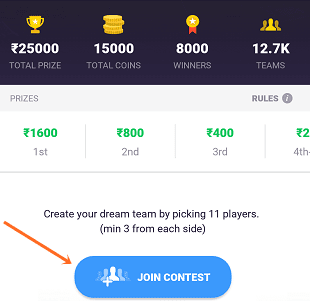 Besides platforms like Dream11, MyTeam11 are risky. You could win huge cash prizes but it's definitely not easy. And where's the harm in using a Fantasy platform where you can win cash without investing even a penny? And don't forget, you can win up to Rs.10,000 cash every week by predicting the outcome of matches. 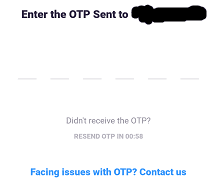 use my valid referral code...hari7961 to get ur starting bonus...not all referral codes are valid!!! realy good app. referral me lion45.and earn bonus coin.